Made with various sized recycled plastic Resinwood slats, the Frog Furnishings Lifeguard Chair is the best in the business. 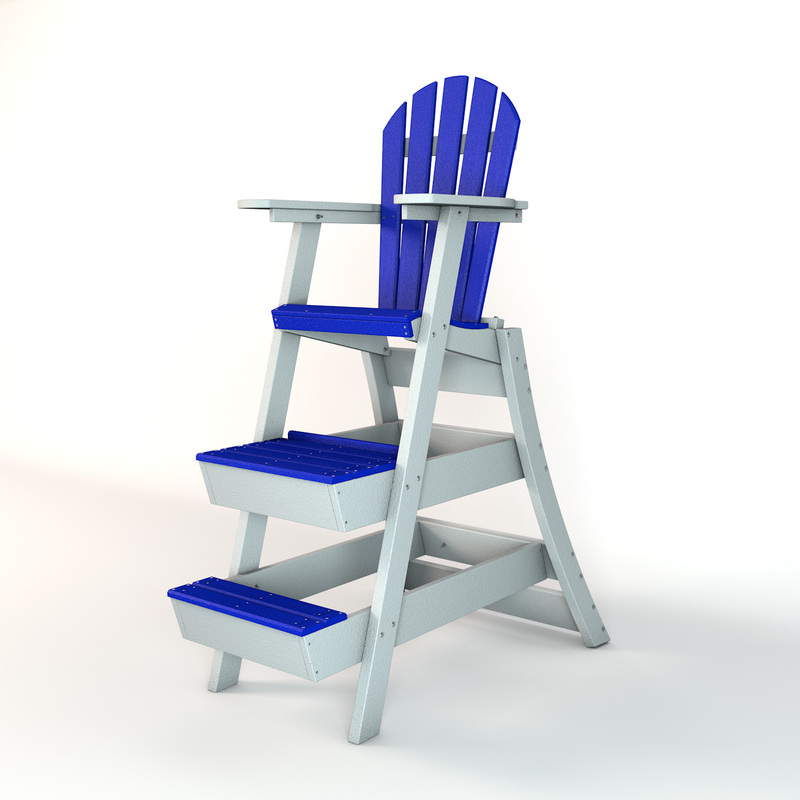 Built with sturdy 1” x 4” and 2” x 4” commercial grade construction, this chair will keep your lifeguards safe so they can keep your pool safe. Comes with UV stabilizers to protect against sun fadingand is built with stainless steel fasteners to protect against rusting. The chair can be made with or without wheels upon request and comes in stock seat heights of 42” and 62”. Custom heights and modifications may be available for high quantity orders. 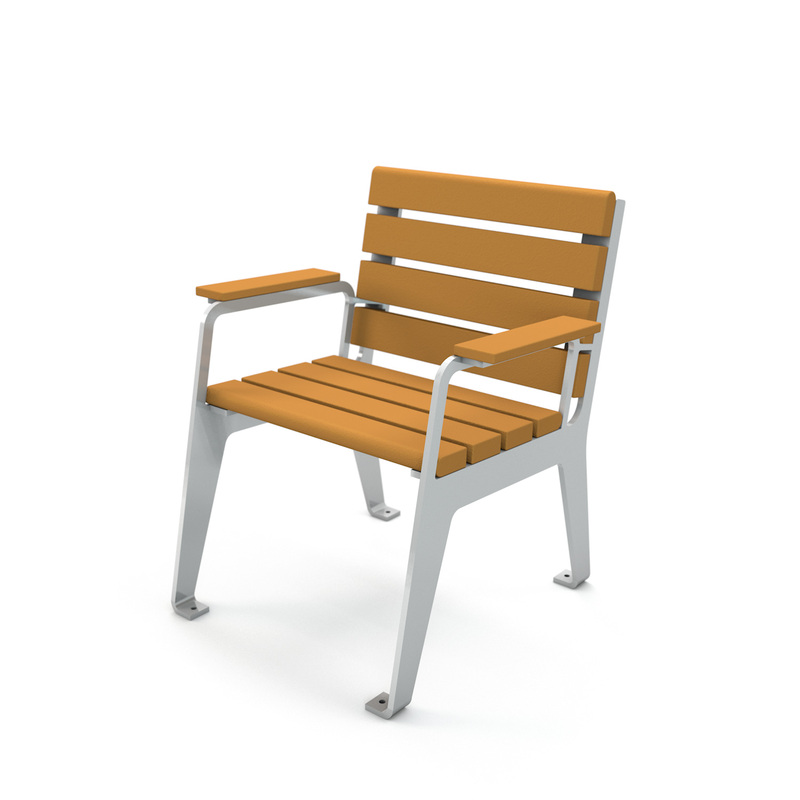 Made with eight 2” x 4” and two 1” x 4” Resinwood slats and a sturdy, silver powder-coated, steel frame, this chair isn’t your typical back patio chair. It’s built to last and last and last some more. If you wish to mount, there are holes in the frame for this. Comes with mounting hardware. Stainless steel standard.